Is it a constant struggle to get your child to do homework? Need advice on making homework time more effective? Many parents struggle with the demands of increased homework and their child’s lack of motivation to get homework done after a full day at school. In addition to tutoring services for pre-K to high school levels and beyond, Centre Pédagogique La Renaissance also provides workshops for parents in Laval-area schools. Here are a few tidbits from our popular workshop series for parents called Help! My Child Hates Homework! It’s essential to set up your child and your home for homework time success. Though it’s tempting to have your child complete his homework at the kitchen table (while you are preparing a meal or doing other household chores nearby), the kitchen tends to be like “Grand Central Station” in most homes. There are constant distractions and plenty of opportunities for your child to waste time. Regardless of the size of your home, choose an alternate spot away from the main action of the household and stick to it. Try to keep this area clear from unnecessary clutter. Your child will learn to associate quiet time and study time with this homework spot. If you have a very young child, you can reassure him that you are not far away and will check on his progress at intervals you will choose (e.g. every 5 or 10 minutes). Avoid the constant search for materials (pencil, eraser, crayons, etc.) and create a homework basket. This basket should be lightweight and portable, and contain basic school supplies your child needs to do his homework. The basket can be kept at the homework spot or stored in a closet when not in use. No more kitchen junk drawer! If you have more than one child, create two separate homework baskets (to avoid fighting and blaming) and insist on separate homework spots. Get creative! Even if you have a small home or apartment, a folding TV tray and chair can make for a great homework spot in the corner of the living room or even at the end of a hallway. The goal is that your child knows that this is his spot (or his “office”), and other family members must be on board by staying away from that area as much as possible during the designated homework time. Here are a few tips and tricks that address 9 common concerns parents have about homework. This is a common problem with students who lack organizational skills. When your child’s agenda is forgotten at school or not filled out for the day, it’s difficult to determine what your child has for homework. Important deadlines are often missed. A popular solution is the “buddy system” in which your child’s teacher will select a responsible student to be your child’s classroom buddy. The buddy will check that your child’s agenda is filled out and in his schoolbag, along with whatever books, binders or duo-tangs needed. Ask your child’s teacher to suggest the name of a student that your child can exchange phone numbers with. When your child doesn’t bring home his spelling list for the big quiz tomorrow, the telephone buddy can dictate the words over the phone. There is a fine line between supervising your child’s homework and doing it for her out of desperation. When your child sits there for two hours mulling over an assignment that should take 30 minutes, it seems quicker and easier to just sit there and do it with or for her. Though it’s important to be implicated in your child’s learning, constantly giving an answer or correcting each question on the homework page the moment your child completes it doesn’t teach your child to try on her own or to practice her autonomy. Establish “quick check” intervals in your child’s designated homework time. For a very young child, a “quick check” could be every 3-5 minutes. For an older child, every 5-10 minutes should be enough to reassure your child that you are there, but will not stand next to her or supply answers until she has tried on his own. Try supervising the first one or two questions to make sure your child is on the right track, and then walk away. Do not send the message that your child is incapable of doing the task on her own. Your intentions may be good, but it often backfires. If your child gets too used to the idea of you supplying an answer or clue almost immediately, you remove the responsibility from your child and in turn, the motivation to try on her own decreases over time. This can lead to “learned helplessness." You don’t have to deprive your child of cherished hobbies or physical activity, but you must be reasonable in your ratio of homework time to extra-curricular activities time. The number of hours of extra-curricular activities should be no more than half the number of hours your child is expected to be doing homework in a given week. For example, if your child gets an hour of homework for each day of the week (a total of seven hours per week), other activities shouldn’t take up more than 3.5 hours in a week. Make your ratios make sense! Whether your family has one stay-at-home parent or two working parents, the Weekly Homework Planner is a tool that has been designed and developed by Renaissance’s education consultants to help you organize your entire family’s weekly activities. 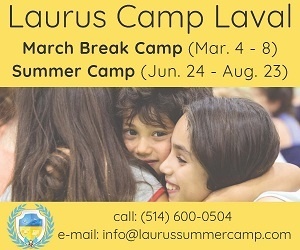 There are several versions available (through the workshop or our tutoring center), depending on whether your child comes home directly from school or attends daycare, has a lot of extra-curricular activities or has concentration difficulties, etc. The tool is designed to be filled out by you and your child at the start of each new week (typically Sunday night) in order to negotiate time for work and play. Use the Weekly Homework Planner to organize your time and teach your child planning skills. The Planner allows your child to see how his time is going to be used and lists everything from hockey practice, to time spent watching a favorite TV show, to special “review/corrections” intervals for homework, and much more! The Planner should be displayed somewhere in your home where the whole family can see it. Having a routine that is predictable and regular will eliminate the chaos in your home and help your child see that he has an active role in your family’s daily functioning. No more worries about when you’ll find time to pay bills, do the laundry, pick up your toddler’s toys…It’s all in the Planner! Remind your child that you have included her extra-curricular activities, fun time breaks, favorite TV shows and other hobbies into the Weekly Homework Planner. By filling out the Planner together, you are allowing your child to take ownership of her schedule and decision-making about where to place homework and fun time. Students who are implicated in the decision about how and when they accomplish tasks are more likely to follow through. As an additional incentive, you could include another element to your strategies toolbox—the Family Contract. Get everyone involved, even the little ones, and get creative about how your Family Contract will include agreements on respecting the Weekly Homework Planner and other home rules. Invent a reward system for respecting the Family Contract with a specific timeline: “If we all respect the Family Contract for the next two weeks, our family can (insert reward such as special family outing or game).” Revise your Family Contract about once a month to keep it fresh and effective. With the visual aid of the Planner, your child will feel reassured that fun time is on the schedule too. With the help of the Family Contract and reward system, your child will be more likely to cooperate and encourage the rest of the family to do the same! These days it may seem like your own school diploma should have come with an expiration date! With ever-changing pedagogy, you may feel out of the loop when it comes to the material your child is learning at school or how it’s being taught. Ask your child’s teacher to give you a heads-up on what curriculum items are coming up—a monthly phone call or e-mail should do it. This will allow you to brush up on or ask the teacher about elements that are unfamiliar to you. 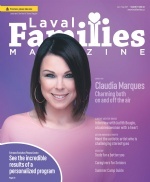 If calling or e-mailing is not convenient, use the Communication Journal. This is a tool developed by Renaissance’s educational consulting team designed to facilitate communication with school teachers. It’s available through the workshop or our tutoring center. This is a quick fix if you insist on the homework spot and stick to it. While your 7-year-old is doing his 20-minute homework interval, you can have your 4-year-old occupied with the task of matching the socks together from your clean laundry basket or doing a short art n’ crafts project away from your older child’s homework spot. Your teenager might insist on playing a loud video game, but inexpensive earphones take care of that instantly! There is too much noise/distraction/chaos in our home to get anything done on a weeknight! Add the predictability, subtract the chaos! Get everyone at home on board with the Weekly Homework Planner and Family Contract. Remember, students who are implicated in the decision-making process about when and how they complete tasks such as homework, cleaning their bedroom and practicing a hobby or sport are more likely to follow through on their obligations. The Planner allows for mini “fun time” breaks, which can make academic tasks less daunting for students with concentration difficulties. The special “review/corrections” intervals are time-saving for parents and allow your child to practice his autonomy. Now that you and your child are using the Weekly Homework Planner, Family Contract and encouraging a reward system, your newfound organization makes all your obligations fit into place! Your child will be more efficient at her homework because she has an appropriate homework spot and all the materials required in the homework basket. Discuss your concerns with your child’s teacher. Try using the Communication Journal. Rather than discussing the issue in a rushed phone call, the teacher will be able to communicate with you when he/she has some free time, and you will likely get a more detailed answer. If you are reading this article, you are already on the right path to making homework time in your home more successful. Don’t try to implement all of these strategies at once—try choosing just two or three to begin. Remember, change doesn't happen overnight, and as a parent, you will need to be consistent in implementing whichever strategies you choose. All of the tools described in this article are available in the workshop kits provided to parents or through our tutoring center. This article contains extracts from a two-part workshop series for parents. 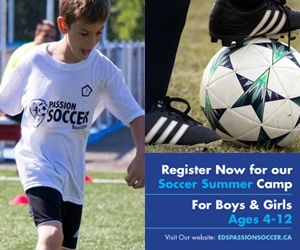 To find out more about this workshop or other workshops, academic services, tutoring or summer camps, call our office at 450-937-2455 to schedule your free consultation. 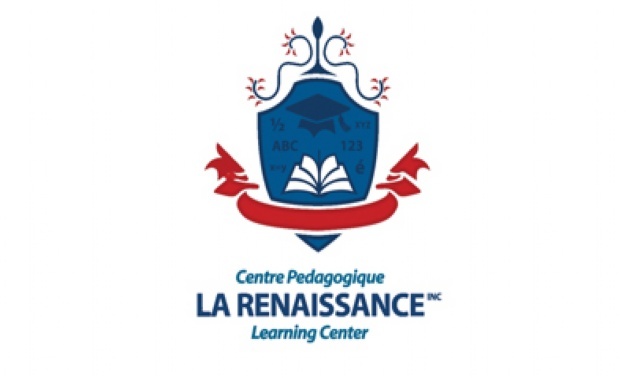 Be sure to visit our website at www.cprenaissance.com to find out how Centre Pédagogique La Renaissance can help your child get on the right track to academic success.